One of my very favorite cookbooks is called The New Best Recipe (from the editors of Cook’s Illustrated). I always find the best recipes in there. I wanted to serve fries with the Grilled Chicken Sliders with Avocado but I didn’t want to fry them because we are trying to eat healthier. 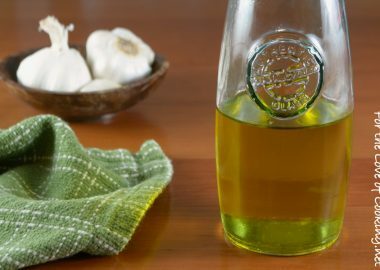 I found a great recipe in this cookbook that I used less oil but other than that did it exactly as written. I left the fries in for a little too long due to helping out with a homework problem but they still turned out amazingly delicious. They were crisp on the outside and soft and delicious on the inside. 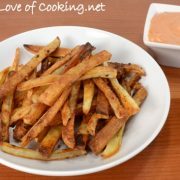 I served these fries with fry sauce (a mixture of ketchup & mayonnaise) alongside the sliders for a fun and delicious meal without all of the guilt! Peel the russet potatoes then cut each potato lengthwise into same size fries. 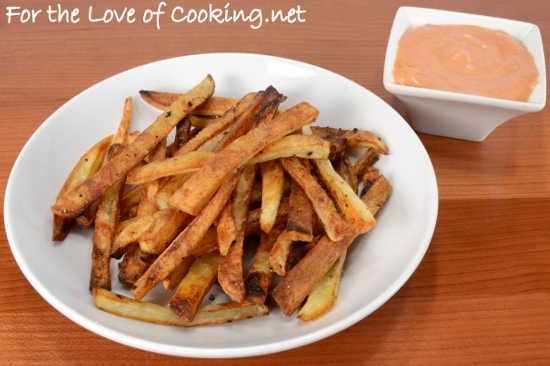 Place the cut fries into a large bowl and cover with hot tap water; soak for 10 minutes. Adjust the oven rack to the lowest position. Preheat the oven to 475 degrees. 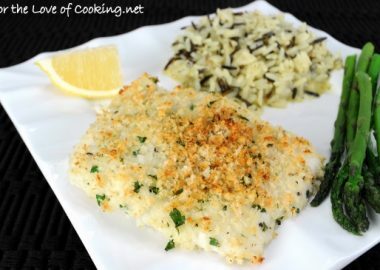 Line a heavy-duty baking sheet with tin foil then drizzle two tablespoons of oil on the tin foil followed by a sprinkling of sea salt and freshly cracked black pepper, to taste. Set aside. Drain the potatoes then place on kitchen towels (or paper towels) and pat dry. Rinse and wipe out the bowl then dry it with a kitchen towel. Place the dried fries back into the dry bowl then drizzle the last tablespoon of oil onto the fries. Toss with your hands until evenly coated. Arrange the fries in a single layer on the prepared baking sheet. Season with sea salt and freshly cracked pepper, to taste. 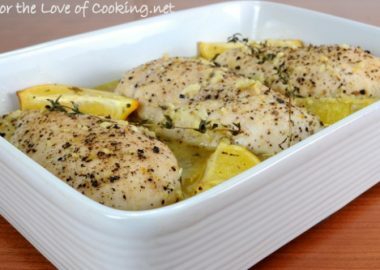 Cover the baking sheet tightly with tin foil and place into the oven to bake for 5 minutes. Remove the foil and continue to bake until the bottoms are spotty golden brown, about 15-20 minutes, rotating the baking sheet after 10 minutes. Using tongs, flip each fry, keeping the potatoes in a single layer. Continue baking until the fries are golden and crispy, 5-10 minutes longer, rotating the pan as needed if the fries are browning unevenly. Transfer the fries to some paper towels to drain. Serve immediately. Enjoy. Peel the russet potatoes then cut each potato lengthwise into same size fries. Place the cut fries into a large bowl and cover with hot tap water. 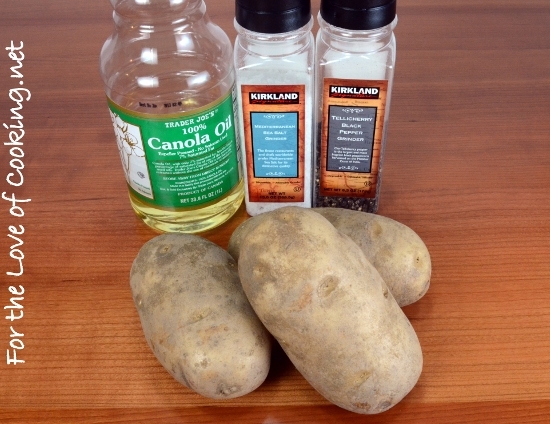 Drain the potatoes then place on kitchen towels (or paper towels) and pat dry. Rinse and wipe out the bowl then dry it with a kitchen towel. Place the dried fries back into the dry bowl then drizzle the last tablespoon of oil onto the fries. Toss with your hands until evenly coated. 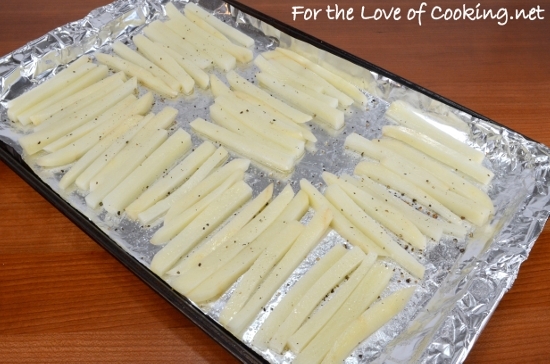 Arrange the fries in a single layer on the prepared baking sheet. Transfer the fries to some paper towels to drain. Season with sea salt and freshly cracked pepper, to taste. Serve immediately. Enjoy. 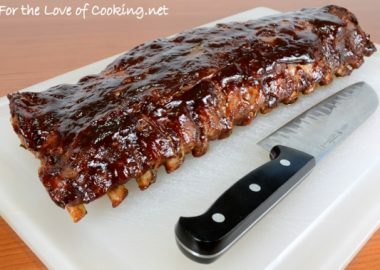 hmmm, i wish we had this last night with our burger!!! that would’ve been the perfect combo! What a great way to do fries! These look great too!! Oh yum….always love french fries…the sauce on the side looks really good…. I’ve had oven fries before that made you forget about frying them!! 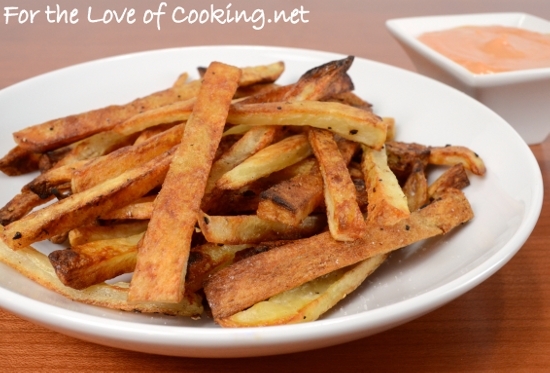 I love that you can feed that french fry craving without having to deep fry!! YUM! Oven french fries are sooooo good. You can also add spices. Or use sweet potatoes. Yummy ! I’ve had this method bookmarked to try for over a year now. I just keep forgetting about it. Thanks for the reminder, Pam! It is only breakfast but I am now planning dinner. I really don’t use that cookbook often enough! I”m sure it has some serious recipe secrets. LIke these fries. Want. I make baked fries all the time and have tried different ways. I definitely will try this method. They look so good and crisp! So good and crisp !!!! Aha! Maybe mine aren’t quite as crunchy as some would like because I don’t dry the potatoes! suddenly jones’n for some fries! these look awesome! fry sauce! we ate that all the time when i lived in idaho! if you were to ask for it here, they would look at you like you had three eyes. So far every Cooks Illustrated, America’s Text Kitchen recipe I’ve tried have been amazeballs – since we’ve bought our deep fryer, we haven’t baked fries forever, but I do love them! Oh yum these sound great. Yes please! Dinner should always include fries. And that fry sauce? Why have I never done that before?! These sound delicious. I’ve been having a craving for fries but have been trying to steer clear because I am trying to eat a wee bit healthier. (Well, you know, minus the cupcake I ate earlier.) I’m so glad that your feeling better again! I actually prefer oven baked fries to fried ones! 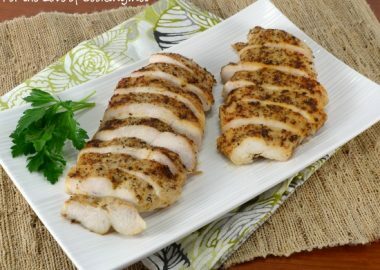 Your oven baked fried look so good. The fry sauce sounds really good also. Sounds like you had a perfect meal. I love that cookbook, and my family loves these fries! They are so delicious, and without the guilt! I’m sure they were delicious with the sliders! We don’t do any fried fries any more…oven baked fries taste just as great! Perfect fries! Homemade ones are the best. there are times (ok all the time) when i make fries JUST for the dipping sauce. call me a sauce junkie! I enjoy oven baked fries as much as I do fried one, maybe even more so. The dipping sauce is always nice too. So Delicious! We decided to put fresh garlic on them half way through cooking. 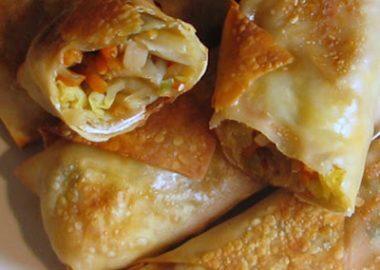 Fabulous its crispy and easy recipe!! I have just come across your beautiful blog via sometimes sweet. I love it. and these fries look amazing. I love fries but loathe the frozen ones. 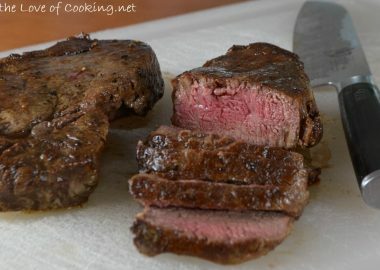 thanks for the recipe – i will have try it out.